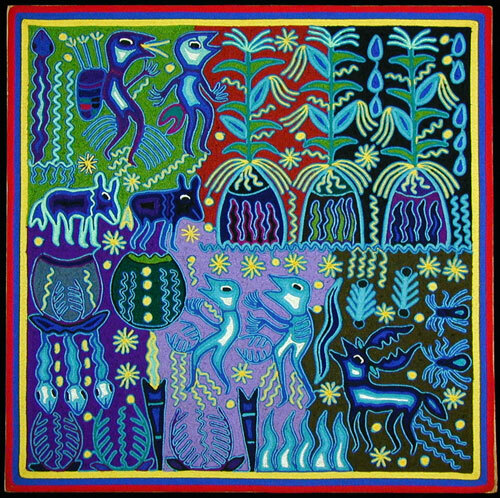 We have learned that Huichol artist José Benitez Sanchez passed away on July 2nd, 2009. Known in his language as the "Silent Walker" he was a renkowned shaman, a respected public figure among the Huichol Indians of Mexico, and certainly the most celebrated artist of "Nierika" yarn paintings. He had been ill for some time, and recently suffered some serious injuries. May his spirit rest.